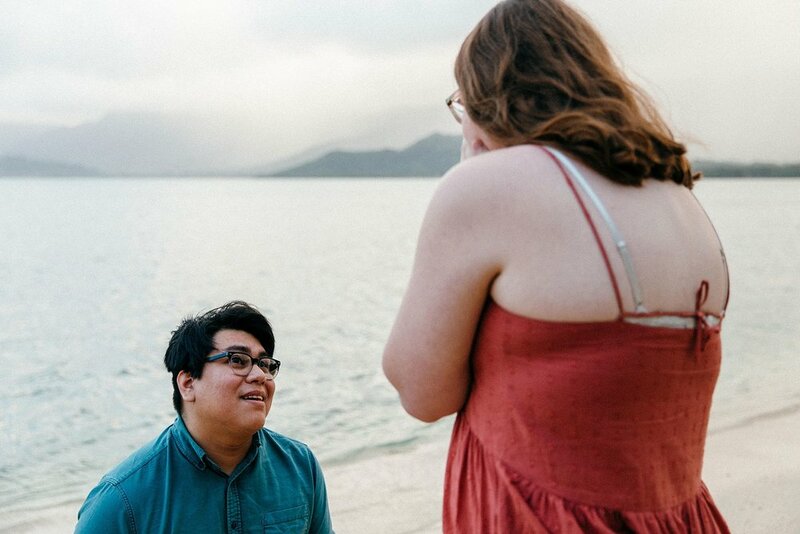 Allie contacted us to do a couple’s session for her and Christopher on New Year’s Eve as it was their first time on island and they wanted to remember their trip here. They’ve been together for 7.5 yrs - Allie was a freshman in high school and Christopher a senior when they started dating - so my light bulb went off thinking “hey, maybe he’ll propose to her” but I just kept on with the plan to document their stay here. However, the morning of the shoot, Allie’s mom calls and gives me a heads up that Chris might be planning to pop the question (clue #2).